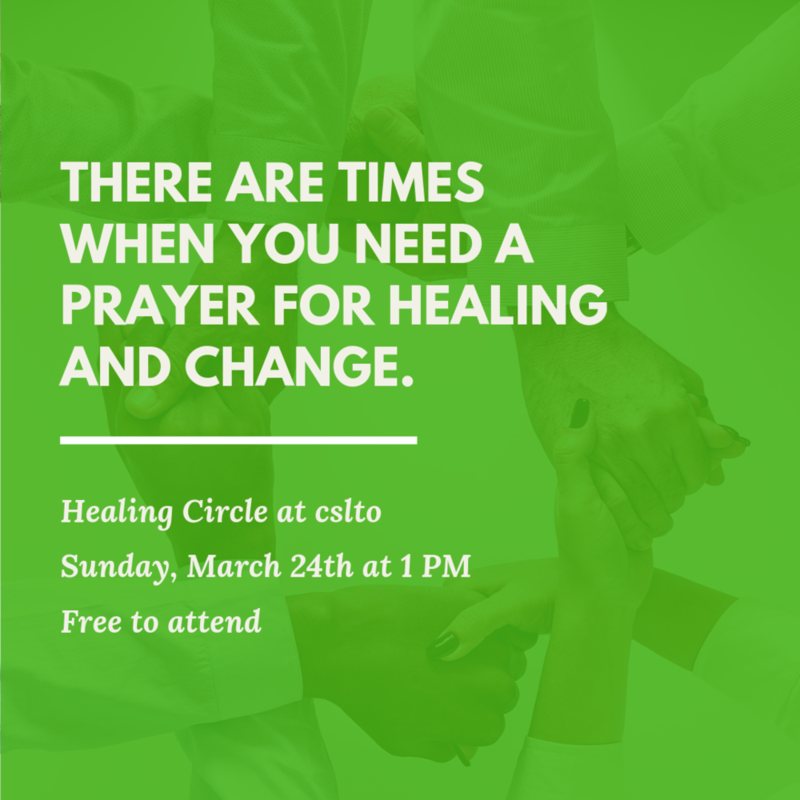 The Healing Circle is fully supported by CSL Toronto Licenced Spiritual Practitioners and lead by Rev Helen Valleau. It’s a sacred space and time to release anything heavy on your mind and/ or in your heart. Come experience being in the energy flow and connection of feeling , hearing, experiencing the shift to a higher truth and way of being.